These Hydraulic powered Welding Generators offer you unlimited flexibility when it comes to mobile welding combined with power generation. The units are ultra compact, rugged and reliable. Perfect for vehicles already equipped with a hydraulic system like excavators, farming machinery, trucks or converted offroad vehicles. Please participate from our TechSupport when designing your hydraulic system! 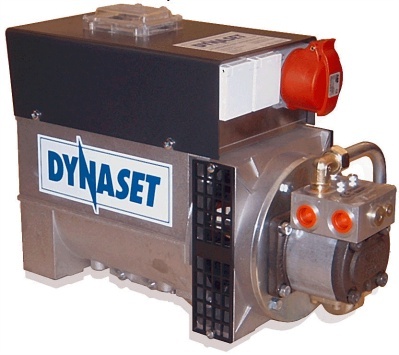 Mobile power generation - when talking of real high power - use one of the following DYNASET units - compact, efficient and reliable! Power Classes range from 3.5kVA up to 110kVA, single or triple-phase. Get the complete DYNASET Catalogue (Download)! Special model with modified pressure ranges or volumetric flows available! 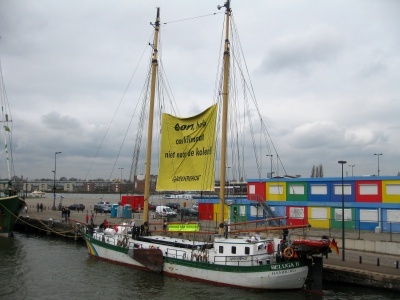 In this project we equipped the Beluga-2 from Greenpeace with a 10kVA hydraulic powered generator. Hydraulic equipment is professional equipment. The system needs to be designed according to all integrated units. Please contact us accordingly!